One of the most unforgettable experiences one can have during his stay in Cyclades is definitely that of the traditional festivals -or “panigiria” as are known in Greek. The islands have a lengthy history of organizing celebrations to honor their favorite protector-Saints, but the most well-known festivities are always in honor of Panagia (Holy Mary) and take place usually at the 15th of August, when it is also the celebration of Panagia’s name day. 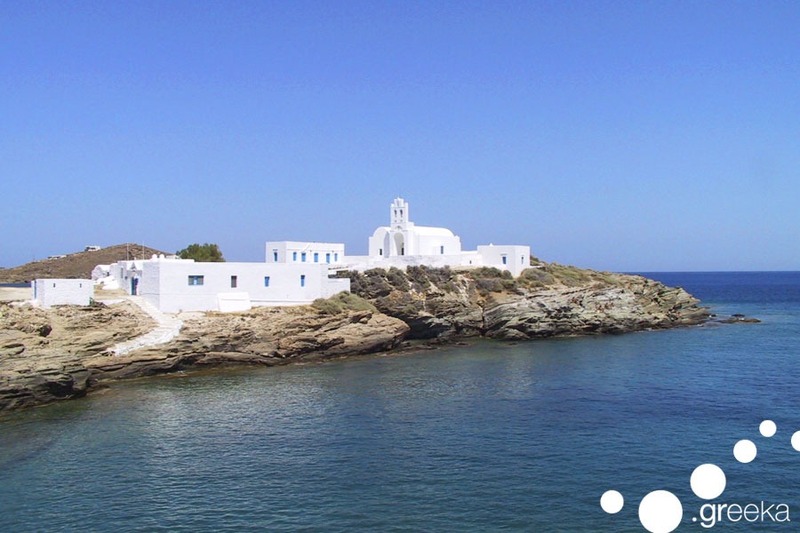 Almost every single island features small or larger churches dedicated to the mother of Jesus but it is commonly admitted that one of the most special ones is located at the beach of Chrisopigi in Sifnos. Panagia Chrisopigi is a picturesque church of unique beauty, built upon a small peninsula that penetrates the sea; it is regarded the patron Saint of Sifnos and the celebration day is not fixed, as it is based on the holiday of Analipsi (the day Jesus ascended to the skies) which is movable; therefore the festivities take place whether in May or June. The traditional ritual which is followed is kept unchanged throughout the years and the custom is guarded with great respect. Each year, a member of the church has the fortunate fate of being selected to keep and preserve for one whole year the sacred illustration of Panagia; this is considered a great honor and a blessing for that person, who is in charge of taking care of the picture and making sure that it is maintained in the best way possible. And when the day that the name of Panagia is celebrated comes, he/she has the responsibility not only to undertake the whiting and the adornment of the church, but also the expenses for the whole panigiri, including the food and the wine offered. The day of the celebration, the rite followed is very specific: the bearer of Panagia’s illustration marches towards the church, traditionally followed by relatives and other locals, and upon the arrival a service is held to honor the figure of Holy Mary. After the service is completed, well that’s when the fun part starts. Everyone gathers around the tables that had been set up, and the dinner called “trapeza agapis” (meaning “the table of love”, referring back to the dinner gatherings the first Christians shared) is being offered; the first course includes the famous revithada, the traditional signature dish of Sifnos, which is local chickpeas roasted in the trademark ceramic pots. The second course includes meat (usually lamb) in tomato sauce, accompanied with pasta or potatoes; meat is replaced with cod fish in periods of fast. Wine flows and the person is charge makes sure that no one is left hungry. Traditional music is played throughout the dinner by a “takimi”, that is to say the company of a violin and a lute. After everyone has finished eating, the time for dancing and singing arrives, and locals, tourists and everyone present merges into one big hug- the razzle lasts frequently until the sun comes up! The morning after, the illustration of Panagia is transferred via a small boat to the beach of Seralia (near Kastro) and afterwards its litany across the entire island starts. Every year the festival of Panagia Chrisopigi attracts more and more tourists, as it is commonly regarded a unique experience that spreads by word of mouth. If you are planning on going to Sifnos this year, do not miss the chance to enjoy the hospitality of the locals and blend in with them -be prepared to have the time of your life!